You have successfully enrolled or applied to HOST? Then your search for accommodation needs to begin. Whether in student halls of residence, a shared flat or your first own flat, this decision has to be made by you and should be made according to your own desires and available funds. Stralsund offers exceptionally good conditions and is not affected by overly expensive rental prices and a highly competitive property market like in other study locations and cities. As a campus university, HOST offers one of the most charming accommodation options: in a small village in Scandinavian look and feel, located on campus – just a few steps from the Mensa (Cafeteria) and the schools. The student village Holzhausen is located on the University’s campus. It is run by the Studierendenwerk (Student Services) Greifswald. Since winter semester 1995/96, 274 students have found perfect living conditions here, in fully furbished one and two-bed rooms. You can request a room in the Holzhausen halls of residence on the website of the website of the Studentenwerk Greifswald. The request must generally be sent to the Studierendenwerk. Due to limited capacity and high demands, we would suggest you reserve a room with the Studierendenwerk as soon as you have decided you would like to study at HOST. To make a reservation you do not have to be enrolled or have received your Letter of Acceptance. This keeps your options open at the start of your studies. 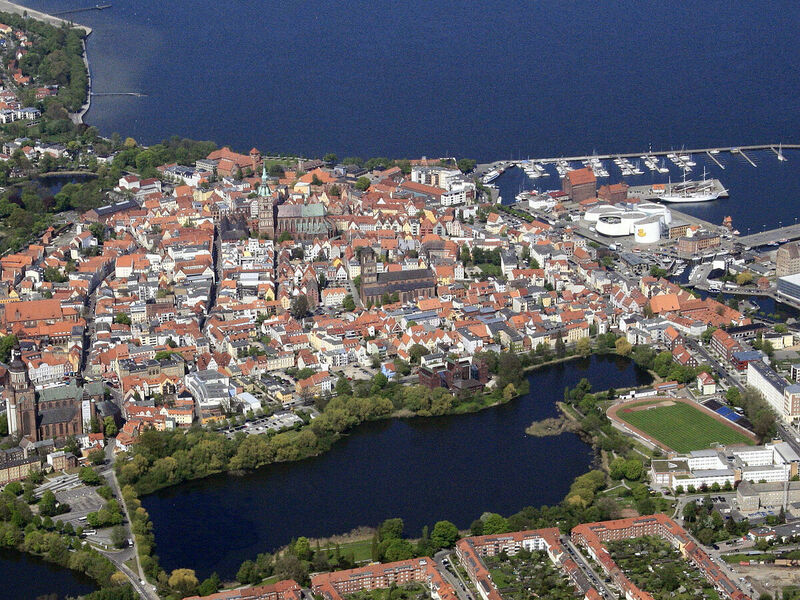 Several other renovated buildings have been turned into student accommodation in Stralsund’s historic town center and right next to the campus. The information portal http://www.meldebox.de has set itself the goal of making it easier for all residents in Germany to move and moreover to register their new addresses with companies and authorities. As students move more often than the average resident, the website has been tailored to suit this target group and offers, for example, removal tips for students. The Begrüßungsgeld (welcome payment) from the town authorities that amounts to € 150 is a good foundation for the start of the new chapter of your life that is studying. If you choose to register Stralsund as your main place of residence, you will receive the Begrüßungsgeld quickly and unbureaucratically.